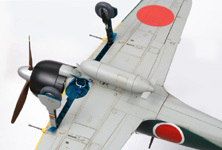 ※Image depicts plane with separately sold Detail Up Parts Set. 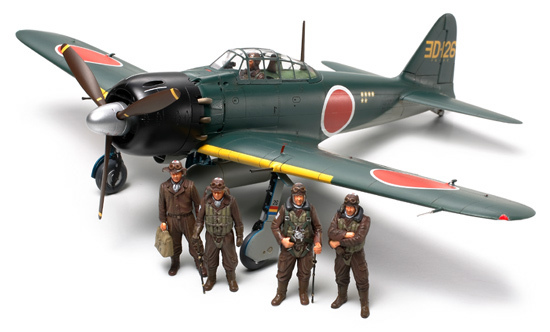 【 The Japanese masterpiece has revived 】　The Mitsubishi A6M Zero was the Japanese Navy’s main fighter throughout the course of WWII. In the latter half of the war, the Model 22 was refined to create the Model 52 to counter new U.S. aircraft such as the P-38 Lightning and F4U Corsair. It featured 50cm shorter wings with rounded wingtips, individual exhaust pipes and top speed of 565km/h. A6M5a was produced with a larger capacity (125 rounds) belt-type cannon ammunition system in February 1944. The Model 52 first saw action during the closing stages of the Solomons campaign in the autumn of 1943 and went on to fight in the skies above the Marianas, Iwo Jima, Okinawa, as well as Japan itself, until the end of the war. 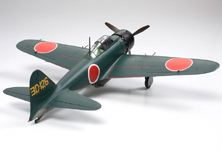 【 About the model 】This is a 1/48 scale assembly plastic model of the Mitsubishi A6M5/5a Zero Fighter. 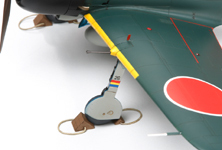 ★Length=190mm, Width=229mm ★Zero fighter’s elongated proportions from nose to tail and the exquisite engine cowling are all accurately reproduced thanks to a complete measurement of the actual plane. ★Highly detailed cockpit and main landing gear well parts. ★Choice of an up or down flaps, as well as open or closed cowl flap. 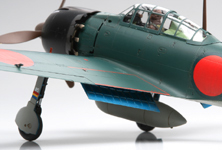 ★A6M5a with belt-type cannon ammunition system can be recreated. 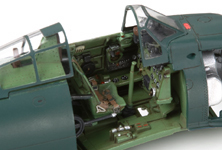 Differences from the A6M5 such as wing panels, spinner and wooden drop tank are highly detailed. ★3 types of markings are included. 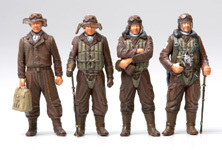 ★In addition to a sitting pilot figure, 4 different types of standing pilot figures are included. Either up/down flaps can be recreated. Both metal and wooden type drop tanks are included and can be attached/detached after assembling. Instrument panel, control levers, light-weight seat and curved floor are precisely reproduced. It features deep main landing gear wells and the wooden drop tank. Various panel lines are characteristic of this model. Beautiful proportions of A6M5a with shortened wings and a refined engine cowling. Separately available Detail Up Parts Set enables the ultimate detailed finish for your Zero. 1 sitting and 4 standing pilot figures are included for perfect diorama situations.